Improve your health with our personalised recommendations and lab tests. 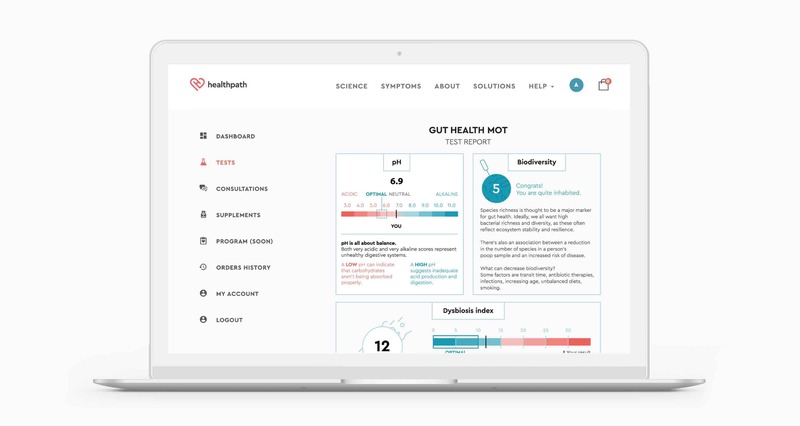 Here at Healthpath, we believe that good health begins in the gut. We also believe that people shouldn’t have to put up with symptoms. We use Functional Medicine to address the root cause of your gut issues—and show you how to achieve great gut health via smart, sustainable changes. Use our cutting-edge tests and consultations to understand why you have symptoms. Follow our health programmes and get premium supplements direct to your door. Get support from like-minded people and our team of Functional Medicine experts. Any questions? Ask a nutritionist. When it comes to your body, your gut is at the epicentre of the action. It’s your largest interface with the outside world, it’s home to trillions of health-supporting bacteria and it’s also where most of your immune system hangs out. What this means is that if something isn’t quite right in your gut, it can affect many aspects of your health. In fact, burgeoning research suggests that gut health is implicated in heart disease, type-2 diabetes, depression, autoimmune disease and many other conditions. My gut feels fine. What has it got to do with my symptoms? Our gut does far more than digest our food. Amongst many other things, it plays a role in making our neurotransmitters, it influences our hormones and it’s also home to most of our immune system. What this means is that if something isn’t right in the gut, it can show up in a number of ways—headaches, skin conditions, joint pain and more. To look at it another way: there are very few conditions that can’t be helped by addressing the gut. There is lots you can do to support your gut health so, whatever your symptoms, it’s a good place to start. 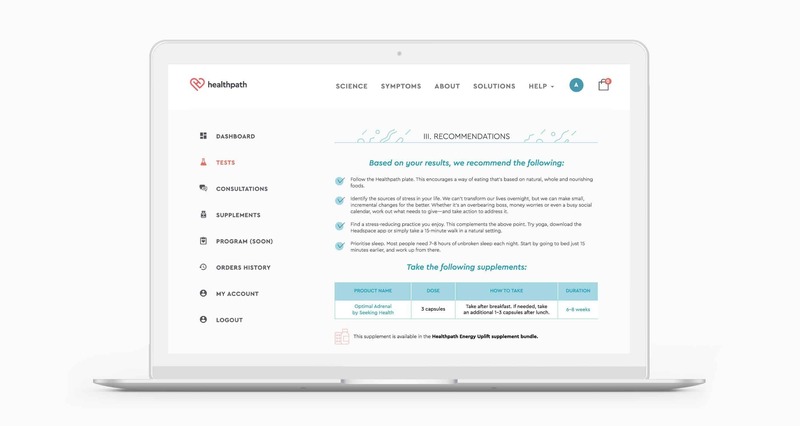 How can Healthpath help me? We’re here to put you in charge of your gut health. Explore our Symptoms page to learn more about what you’re experiencing. If you’d like to dive deeper, you can take one of our Tests. If you know what’s up and want to support it, you can explore our Supplement bundles. If you’d just like to chat to someone to know where to start, feel free to book a Consultation. 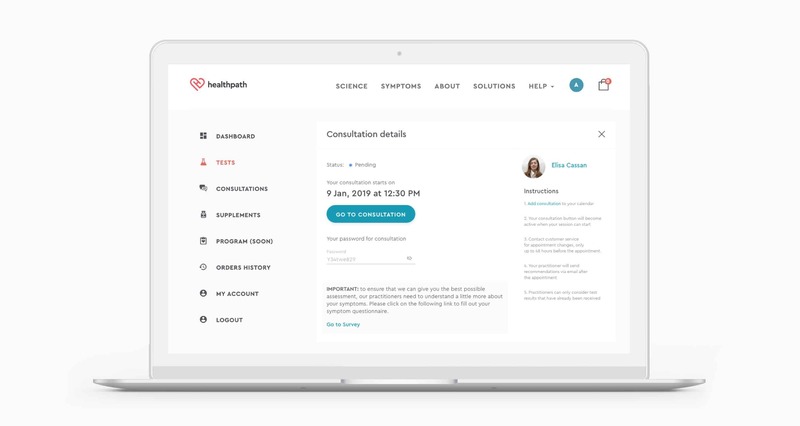 You’re also very welcome to email us at hello@healthpath.com with any questions. Functional Medicine is a pioneering approach to healthcare that aims to put you in the driving seat. Whereas conventional medicine waits until something is wrong and then manages the symptoms, Functional Medicine is solution-focused. Through considering your diet, lifestyle and biochemical uniqueness, it enables you to address the root cause of a problem. Is this different to my GP’s advice? We see ourselves as a complement to your GP. Your GP has just a few minutes provide you with the best-possible advice, which usually centres around symptom-management. There’s more that can be done. We take the time to learn about you and your lifestyle, giving you personalised advice that addresses the root causes of your symptoms. We’re not knocking GPs—they deserve enormous respect—but we aim to give people an option that goes beyond symptom-management. That being said, you should never ignore medical advice. If you have any queries about how dietary and lifestyle changes may impact your current treatment plan, it’s important you speak to your doctor. The best place to start is with our Symptom Questionnaire. You can find that here.